Mr. Crotts' practice focuses on health care and general civil trial matters. He frequently defends clients in litigation involving physician and nursing medical negligence, motor vehicle negligence, premises liability and general liability claims. He has tried over 50 cases to verdict over his 30-plus-year career. Mr. Crotts also has experience representing health care providers before the Agency for Health Care Administration in licensing and disciplinary proceedings. Mr. Crotts has spoken to many groups and has been published on various topics, including medical malpractice. Some of his publications and writings include: "Making Sure the Left Hand Knows What the Right Hand is Doing: Representing Health Care Practitioners in Medical Negligence Cases"; "The Nursing Home Residents' Rights Act - A Good Idea Gone Bad! "; "Evaluation and Defense of Reflex Sympathetic Dystrophy (RSD) Cases" and "Minor Settlements - Do it Right the First Time or You May Pay Twice!" He is Board Certified in Civil Trial Law by The Florida Bar, was selected in 2007 as one of the Top Ten lawyers nationwide by a national and international insurance carrier, and has been regularly recognized by his peers across Florida for his defense work. 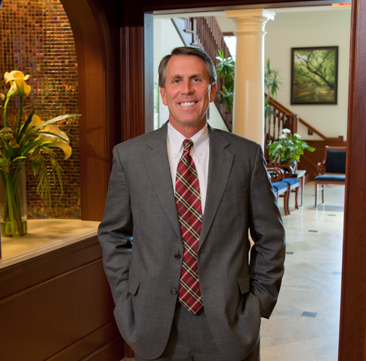 In 2014, he was named Tampa's "Lawyer of the Year" in the field of Personal Injury Defense by Best Lawyers in America®; in 2015, he received the recognition again in the field of Medical Malpractice Defense. Board Certified as a Civil Trial Lawyer by the Florida Bar since 1994. Mr. Crotts was born in Washington, D.C. and raised in Sarasota, Florida.